Most of the best knitted sweaters and shawls can be found in Kashmir . 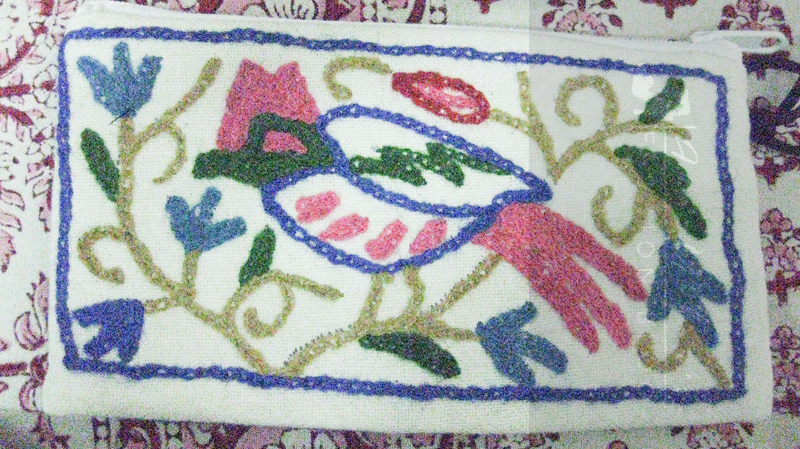 Also they have such a beautiful work that a Shawl called “Shahtoosh” is done so finely that it can pass through a wedding ring .. Wow!!!! 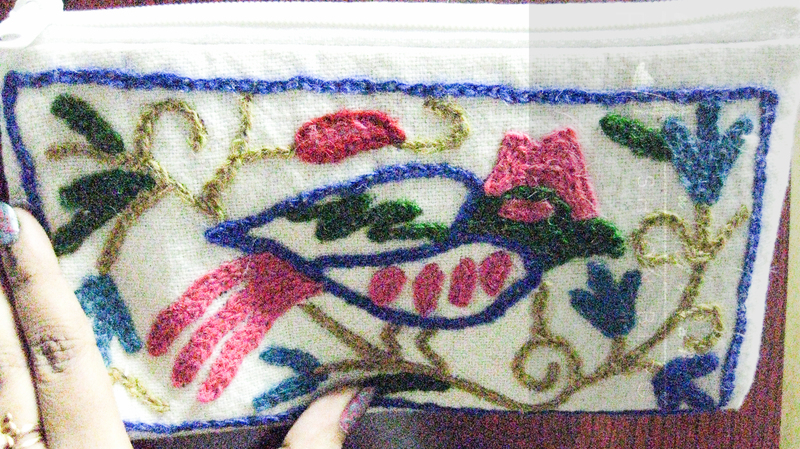 WOW, gorgeous little bag! 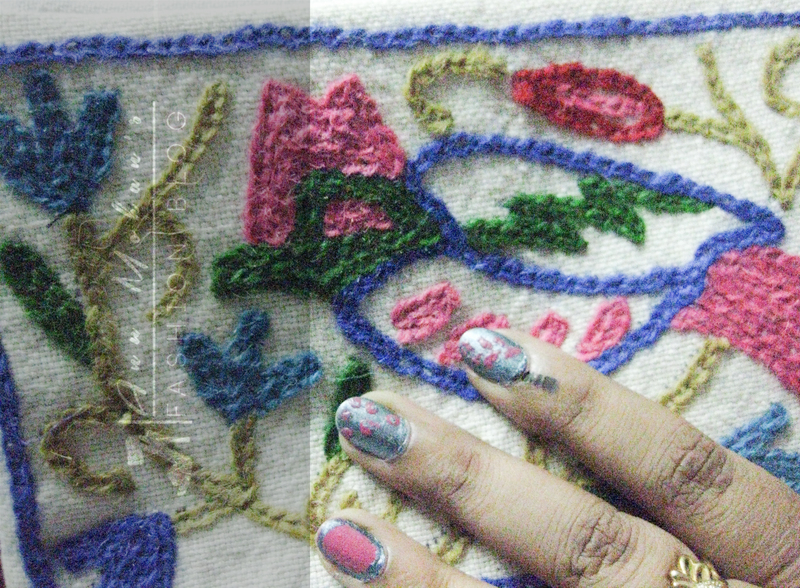 The detailed hand embroidery is so beautiful, as well as your fabulously matching nails (don’t think we hadn’t noticed 😉 ) Have a fabulous week ahead, doll. Omg you did notice it !!! lol thank you hon <3 have fun 😀 glad you liked it !!! Kashmiri “karigari” is one of the best out there! So intricate and done with love. 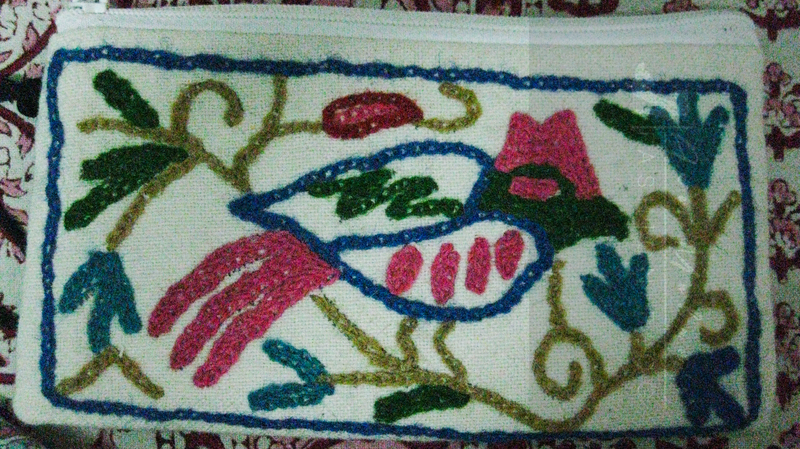 I have a smaller wallet, that has similar desgins and a shawl, that have such designs, and love them both! They crafted this one well 🙂 I really love all the different colors that’s incorporated in it! Very cute! Previous First Liebster award :D YAY !!! !